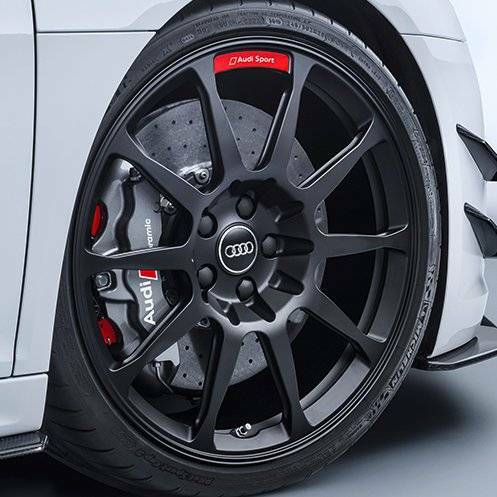 Genuine Audi Sport Performance forged wheel set which have been inspired by the Audi Sport racing program. Wheels are 20x9" ET52 for fitment matching factory wheels but stronger and lighter. Wheels are finished in matte black with the red Audi Sport logo.